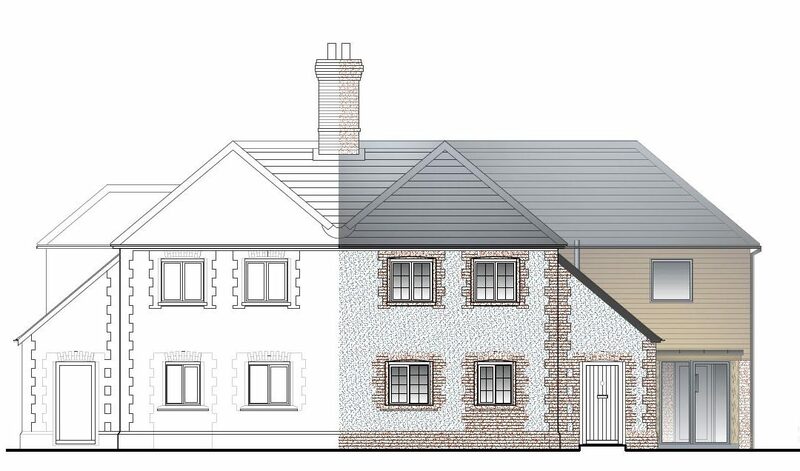 Our Romsey office were appointed in November 2017 by a young married couple in the farming industry, to design an extension to an existing brick and flint cottage in the South Downs National Park. The extension sits back from the main elevation of the cottage and is only really viewable from the client’s own land. We designed a modern extension using brick and timber cladding to create an additional 2 bedrooms for the property, as well as create a new entrance porch and larger living space downstairs. The existing entrance to the house then acts more as a back door into a utility. The master bedroom is heavily glazed at the back to maximise views across the fields. Studio Four have been working with University Hospital Southampton NHS Foundation Trust to design the new Emergency Department at Southampton General Hospital.